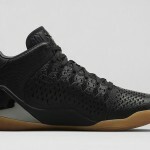 Following a groundbreaking introduction, utilizing a Flyknit construction for the first time on-court, the Nike Kobe 9 has been remade for everyday wear. 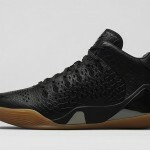 Built like the Black Mamba himself – stealthy yet aggressive – the Kobe 9 Mid Ext. brings the popular performance model to the streets. 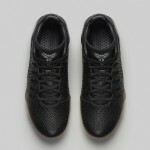 The design embodies Kobe Bryant’s alter-ago with a subtle, snakeskin-embossed leather upper. Paired with chrome accents along the midsole, reflective detailing brings a stand-out touch to an otherwise understated design. Tying the design together, the gum rubber outsole makes it ideal for off-court trekking, with a look as lethal as the Mamba’s venomous strike. 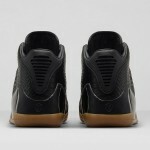 If you’re interested in copping a pair this weekend check out our store release details below. 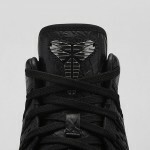 This release will not be available on Footlocker.com. 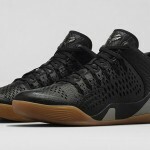 In partnership with mall management, SELECT House of Hoops by Foot Locker stores will implement a sweepstakes ticket procedure* in order to purchase the Nike Kobe 9 Mid EXT ‘Black Mamba’ (on sale 8/23/14 for $ 225). The sweepstakes tickets will be given out Monday, August 18th and Tuesday, August 19th. If your ticket number is selected, you will be notified by phone on Wednesday, August 20th or Thursday, August 21st. These procedures are for SELECT STORES only. To find out which store near you will carry the shoe and if that store will implement the sweepstakes ticket procedure, please visit the Foot Locker Launch Locator. 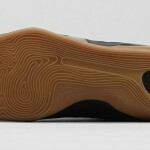 Print article This entry was posted by hhcblog on August 19, 2014 at 2:34 am, and is filed under Footwear. Follow any responses to this post through RSS 2.0. You can leave a response or trackback from your own site.